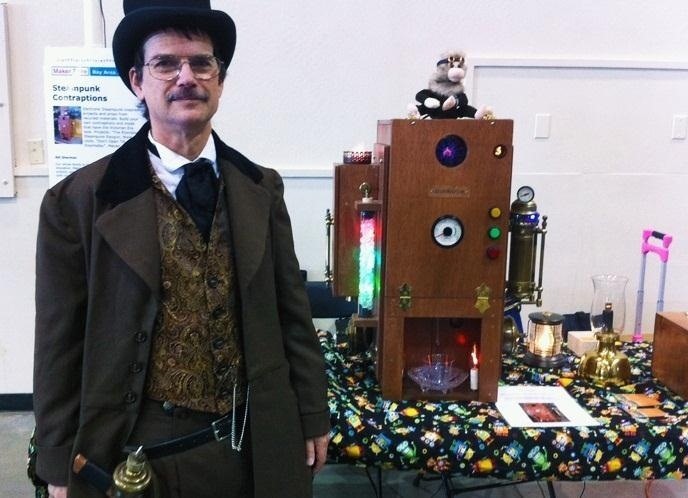 So, you want to throw a steampunk party and you have almost everything in place—your steampunk persona and iPhone are ready to go, and you've even got your own steampunk straight razor. What's missing? The Elixirator, that's what. 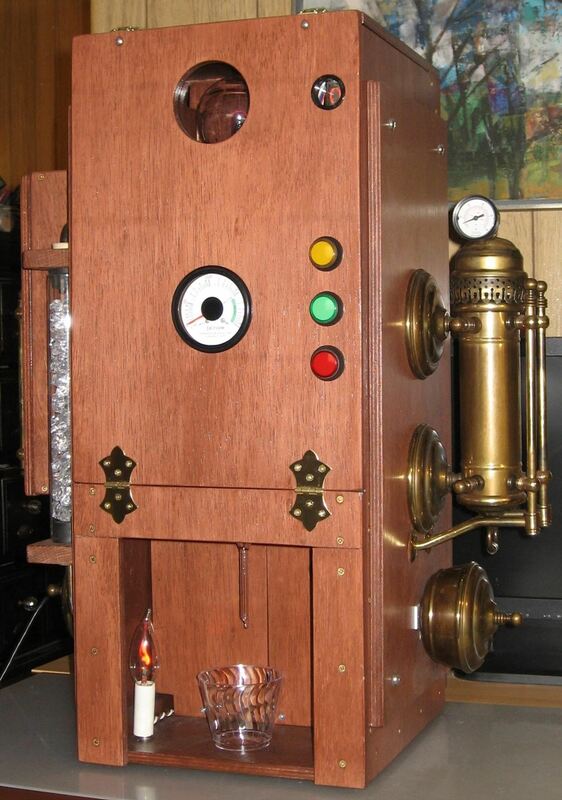 The Elixirator is a steampunk cocktail-making machine by Botronics that can hold four different ingredients and mix up to ten drinks. It has a Picaxe microcontroller for a brain and was built using a lot of pieces from thrift shops. 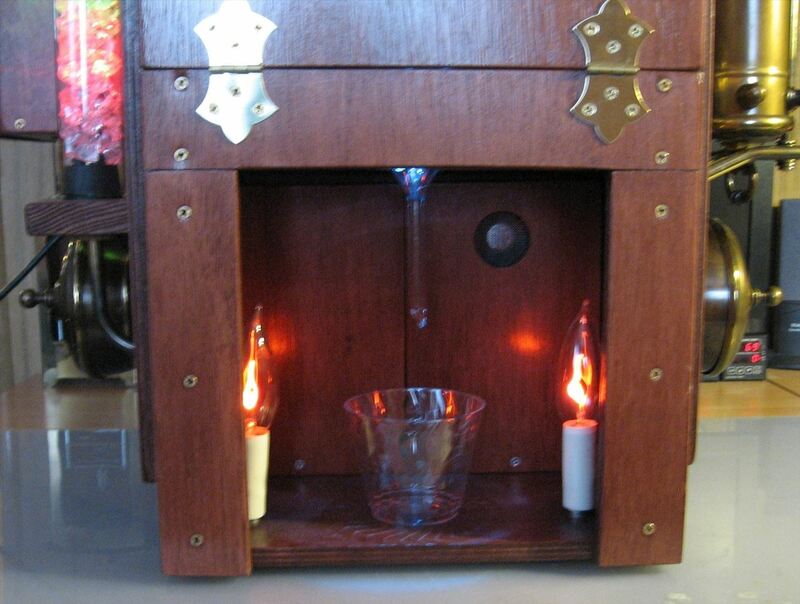 It has a plasma globe at the top and a nixie tube on its right side to show which drink is being poured. 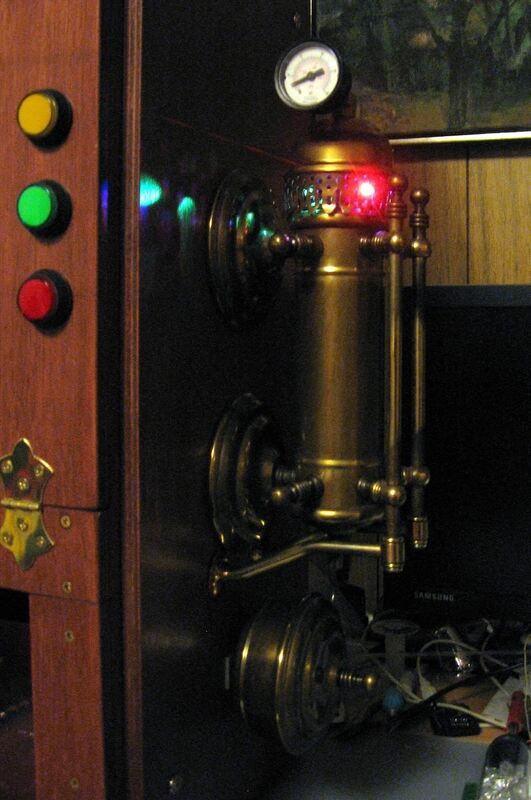 On the other side, the 'boiler' has color-fading RGB LEDs to "give the illusion of a glowing radioactive reaction," and fake flames light up the glass while the Elixirator expertly mixes whatever delicious concoction it's making. 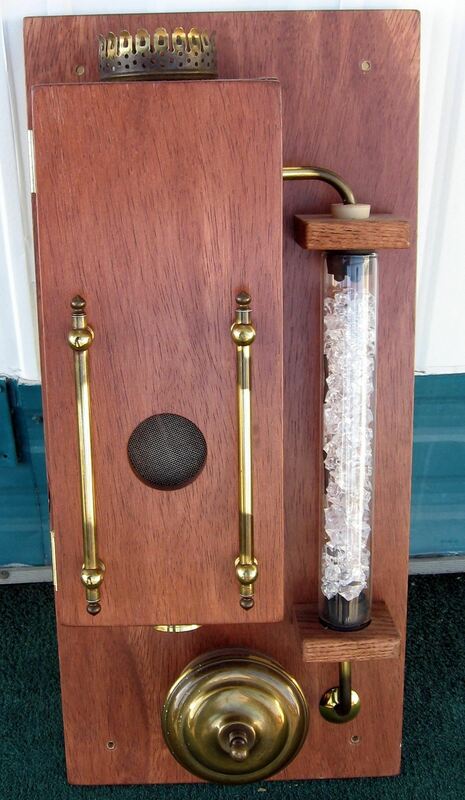 If you want to take on the challenge and DIY your own Elixirator, you can find much more information and photos on this tutorial and by visiting Bortonics' website for the program and schematics. For more robotic bartender fun, check out the Inebriator, which has a menu of 15 different cocktails, and the Arduino-controlled shot machine. Which machine would you want pouring drinks at your next party?